It seems that I can't look at good daylilies without singing. That's me playing sax and doing a little keyboard work, too. I wrote the song for a former colleague at The Fayetteville Observer, where I worked for 28 years. 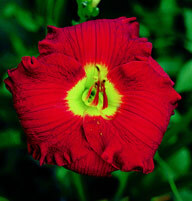 See more singing daylily videos. 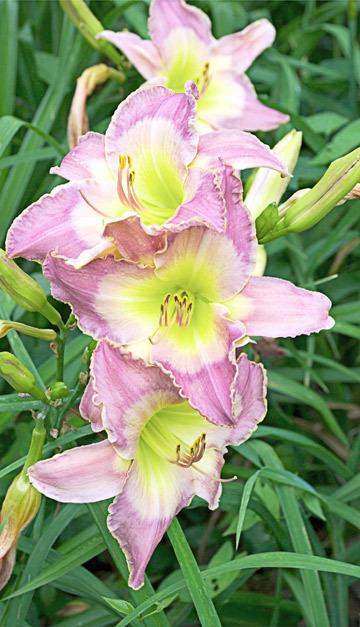 We have assembled an exceptional collection of 22 new daylilies for 2009. They are unique and mostly very strong growers with breakthrough colors. 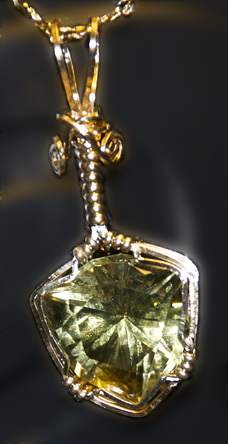 Consider our newest offerings. I will continue to give all I have to create more beautiful, persistent, tough daylilies that succeed in a wide range of gardens. 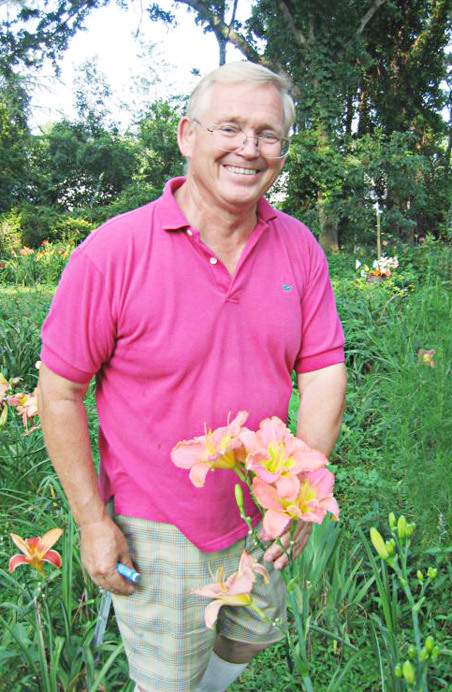 Roger is impressed by a five-way branched daylily scape bearing four open flowers. The plant is a seedling of Pristine Promise, an earlier introduction. Read about his breeding goals. You'll find delightful surprises among our previous daylily introductions. Many are rare, hard to find, not widely distributed and are extraordinary. Consider adding a few to your collection. At Mercers Garden, we focus on daylilies that perform under marginal to extreme circumstances. We insist on uniqueness and great beauty. Explore Mercers' Garden by clicking any element on this page.